SUZUKI B-KING 2008-as a aftermarket Fender Eliminator Kit by Yoshimura my tail light as 4 led out of 28 that don't work , and will not pass an out of province inspection , can not ride until a get a new tail light ,and stock rear turn signals , they don't like the led signals, as a mater of fact I don't like the led turn signals on my bking you can not see them from the back all that well, the way there are mounted. Thanks for the info. I'm madly googling to see what's out there. I agree with you......need to be seen. 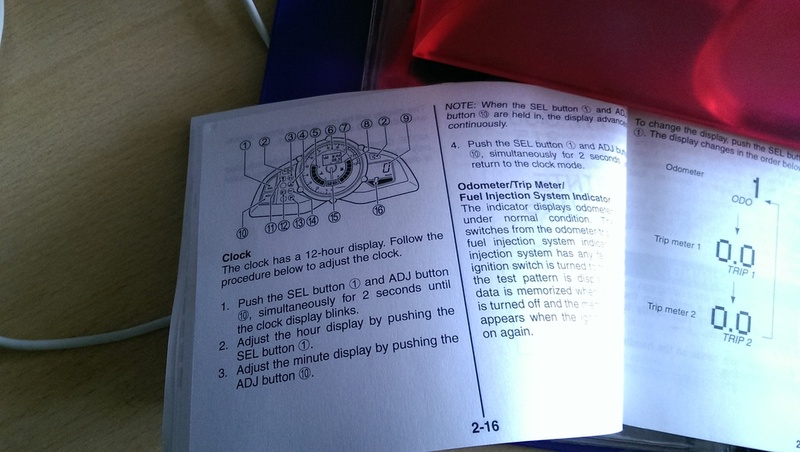 As for the clock, I've done it many times, but always need to get the manual out!! Thanks for the warm welcome everyone. Light now fixed.... Let the good times roll!